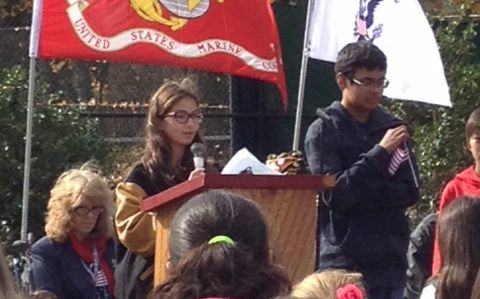 The River Edge Veterans Day ceremony was held on November 11, 2013 at Veterans Memorial Park on Continental Avenue. 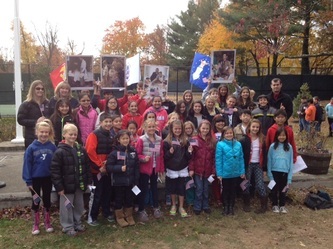 VFW Post 876 hosted the ceremony, which included participation from students and staff from Cherry Hill and Roosevelt schools. 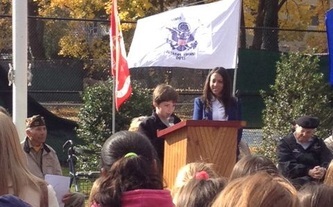 The Roosevelt Student Council president presented a speech while the Cherry Hill Student Council mde a presentation. 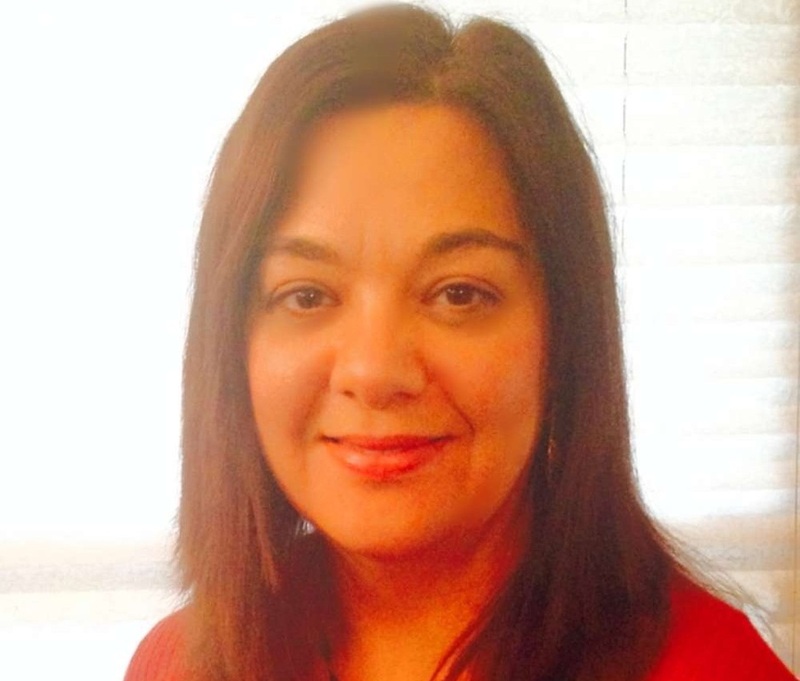 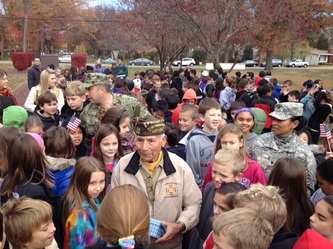 Veterans, River Edge Town Officials, and River Edge School Administrators were in attendance. WWII Veteran Mr. Joe Maugeri led the morning's activities and is also pictured below. 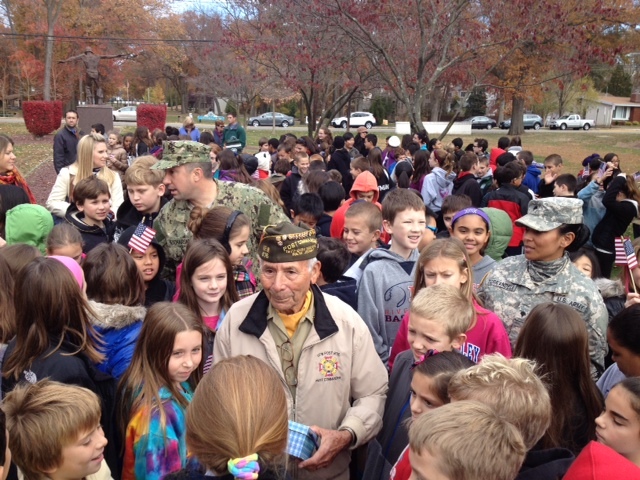 Mr. Joe Magieri, WWII Veteran and Town Crossing guard, meets with students after the ceremony. Julianna and Edwin present their speech to honor the Veterans as Mrs. Heitman, principal of Cherry Hill School, is near. Below, River Edge students sing "Proud to Be an American" to honor the Veterans.